Style Notes | The self-proclaimed 'Golden Barbie' Jasmine Sanders is simply one word: gorgeous. Actually no — two words: absolutely gorgeous. While flipping through various photos of Jasmine (I love the name Jasmine, btw) I was blown away by her striking images. Standing at merely 5’9, she’s not as tall as most top models, but definitely has a 1-UP on her rare beauty; she just has IT. 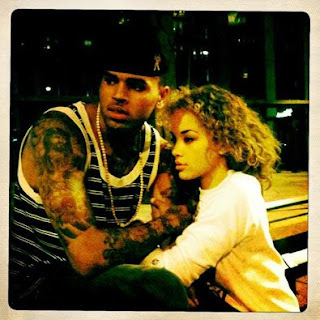 Gossip: A little birdie told me that Jasmine is Chris Brown’s new babe. Rihanna, who? Bad taste in men, but absolutely stunning! Wow.